Getting your point across takes a killer presentation paired with some wit and a winning attitude. With the multitude of technologies available to put together your presentation, the task can get daunting. It’s already difficult enough as it is, but without mastery of tools, you can be left wondering where to start. 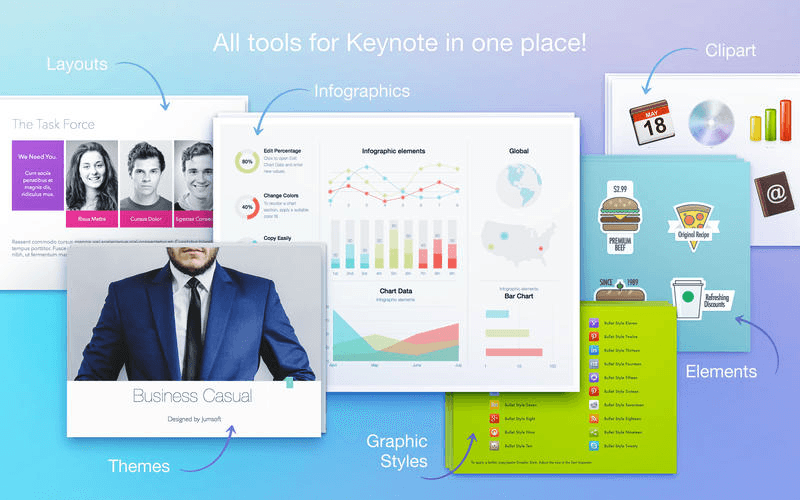 Keynote is an app available on the Mac that makes it monumentally easier to create powerful presentations with all the bells and whistles. Now, it’s even easier to use with the recent enhancements to the Toolbox. 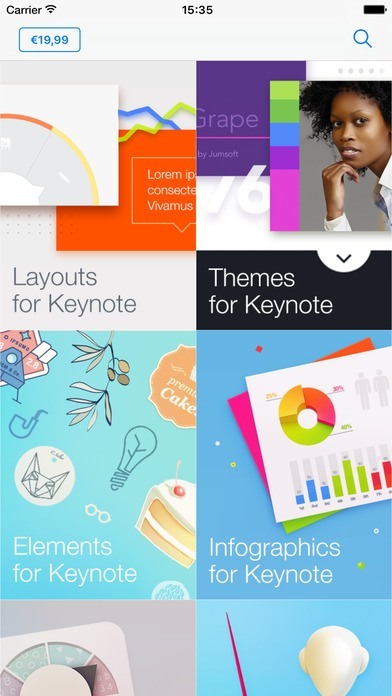 Five new Keynote themes – so you can choose from even more backdrops to you presentation and have more choices. I thought this was a huge improvement, because different presentation topics are conveyed in various ways. The right theme can make your presentation capture your audience’s attention and sells your ideas. Two Layout themes – again, this allows you more choices on how you want to organize each page of your presentation. Customize to work with your content and how you want to present. 78 Diagram Slides – what’s a presentation without graphics? Now there are really cool choices on how to create slides for your images, graphics, and diagrams. Four Data Visualization Sets – content is best understood and absorbed when presented in a way that is easy to digest. More ways to visualize your data makes it easier for you to manipulate, use, and present your data in the best way. 12 Sets of Doodles and Icons – more ways to up the interest factor in your presentation. I’ve used Keynote before, but only for small projects. At times, I had some frustrations because I was often required to transport my presentations to Microsoft PowerPoint. Now, it’s not a big deal because Keynote is quite compatible with PowerPoint. It makes it so easy for me to create from home on my Mac and then transfer and use my presentation just about anywhere. The graphics are sharp and clear, just what I would expect on a Mac. It helps the content that you create jump from each page of your presentation so just this visuals have an impact that lasts. People who listen to your presentation, or just read it, will walk away with your message embedded for a while. There is not much that can be said as a negative about this app. I found it to be an amazing tool to help me make the most use of Keynote. All apps have potential, but this Toolbox makes Keynote even more powerful and easier to use. It would be nice to do without the high price tag, but everything comes with a price. I can live with that. I hope to make up for the cost by creating some mind-blowing materials for my consumers. And look forward to take full advantage of Toolbox for Keynote.